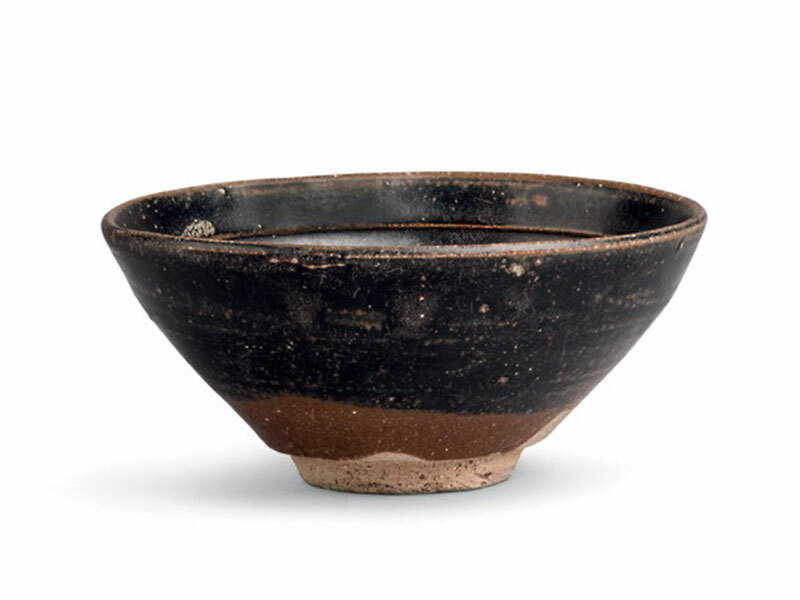 A stoneware tea bowl of jizhou type, the conical sides rising from a short foot and gently extending upwards at the lip. The interior and exterior of the bowl are covered in layers of dark brown glaze, ending in an irregular edge above the foot. 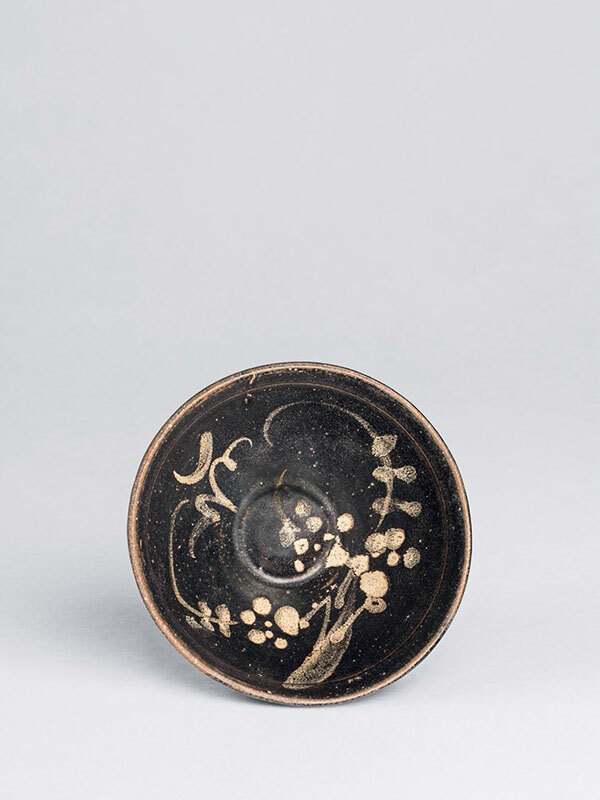 The interior is painted in fluid, buff brushstrokes with branches of plum blossom and a crescent moon above clouds. The unglazed foot reveals the buff clay body.